While we all know the importance of keeping healthy during pregnancy, pre-pregnancy health is essential for mom and baby regardless if you’re planning your first child or fifth. 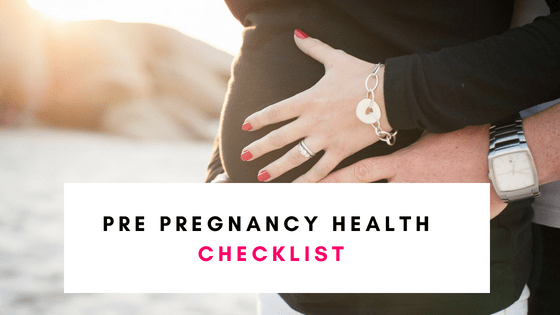 This post will cover all the things you need to know about planning a healthy and happy pregnancy! Why is Pre Pregnancy Health So Important? You’re more likely to give birth to a healthy baby if you’re at your healthiest prior to getting pregnant. Having a healthy lifestyle and mind before pregnancy is one of the most important factors to having a healthy pregnancy and baby. When Should You Start Preconception Care? 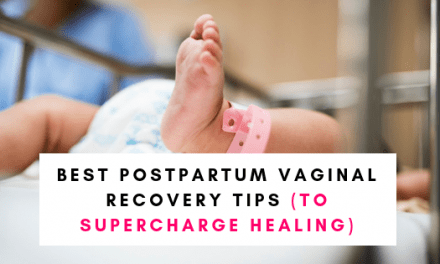 The sooner you start the better, although there is no set time, things like taking folic acid and maternal supplements like these are best to begin around 3 months prior. Eating foods high in folic acid together with maternal supplements can help prevent major birth defects. Although you´ll be visiting your doctor plenty while you’re pregnant, It´s good to make an appointment before you conceive. Your doctor will ask about your family medical history, previous pregnancies and any medical conditions that could affect your pregnancy. It´s also a great time to check your weight, and BMI to see if you need to lose/gain weight before conceiving. Tell your doctor if you smoke, drink or do other drugs, as they can help you with counseling, treatment, and other support services. At your doctors ask about which vaccinations they recommend before you conceive. Doctor´s will most likely recommend some vaccines before you conceive, during pregnancy and after you give birth in order to help keep both you and baby healthy. Certain medications taken during pregnancy can cause serious birth defects. Let your doctor know all the medications your taking – prescription, over-the-counter, vitamins, and even herbal supplements. While it may not be the most fun thing to visit your dentist, It´s important to schedule a visit before you get pregnant. Good oral health is linked to your overall health afterall! And although limited, research has shown a connection between gum disease and preterm birth and low birth weight. It´s also the time to schedule any special treatments, or x-rays needed as you should try to avoid x-rays while pregnant. Tobacco and alcohol are well-known no-no ´s during pregnancy as they can seriously affect a baby´s growth and cause a whole host of health problems later in life. But they also make it harder for you to get pregnant. Smoking can cause early menopause and reduce conception rates by up to 40% and it´s not just women who are affected. Male smokers can experience reduced sperm count, low sperm motility (slow movement), and sperm with damaged DNA. Alcohol can also reduce fertility, and increase the chances your child will develop diabetes in later life. Fish with high levels of mercury, such as tuna, swordfish, and king mackerel should be limited to two times a week during pregnancy, as consuming too much mercury can impair a baby’s growing brain and nervous system. It’s also a good idea to limit your intake before pregnancy as it can take up to one year for your body to clear mercury from your blood. It´s important to eat a healthy balanced diet even when your not planning to conceive, so there is no better time to give your diet an overhaul. Clear out the junk food, and eat plenty of fruits, vegetables, lean proteins and whole grains and drink plenty of water. Eating a healthy balanced diet prior to conception can help reduce your chances of getting gestational diabetes. While it’s never fun to jump on the scale, it’s a good time to check if you need to lose or gain a few pounds. Extra weight can increase your chances of developing gestational diabetes, preeclampsia, preterm birth, and high blood pressure. Women who are obese during pregnancy are also more likely to have a cesarean delivery. However, being underweight can also increase risks. Women who are underweight during pregnancy are at risk of having a low-birth-weight baby and preterm birth. Studies have also suggested that low-birth-weight babies may have health and behavioral issues later in life. Not only does exercise keep you healthy and your weight in check, it will also get you into shape for giving birth. Walking, swimming and yoga are all great ways to get started. For example, Yoga focuses on breathing, posture, and concentration, all of which will benefit you during labor. The majority of your nutrients should come from your diet, but it’s a good idea to start taking prenatal vitamins like these before pregnancy as they contain all the vitamins and minerals you and your baby will need. It´s good to focus on your mental health before getting pregnant. Depression and anxiety can not only affect your overall health, but also the well-being of your developing fetus. Take some time each day to clear your mind, meditate and work on your mental health. It´s like the saying ¨you have to put on your own oxygen mask before you can help others¨ You have to take care of yourself first by eating right, exercising and working on your mental health in order to be the healthiest version of yourself. You will benefit from all the positive changes, but most importantly your future children will benefit from having the very best start in life physically and emotionally.